In this post our blog PR expert Lesley Singleton talks about how gaining the press coverage you want is about more than a just well written press release and a database of journalists. PR is an essential part of any marketing campaign. Well, I would say that, I’m a PR consultant after all. But today’s sermon isn’t about how I think you should throw all your finances into the PR pot; instead it’s about how you can save money without cheapening your approach. There are hundreds of off-the-shelf tools available now for you to run your own PR campaign. 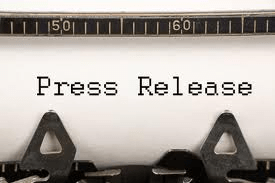 A quick Google search will give you all you need to “write the perfect press release” and, for a relatively small fee, some folk will sell you journalist contact information so you have someone to send your release to. I’m all for empowering the small business – in fact I offer many standalone packages for brands with lean budgets to create their own PR campaigns – but I also think it’s vitally important not to devalue good PR and communications. When do you call them? If they’re not interested, what other angles can you try? If they are interested, how do you maximise the opportunity and get as much exposure as possible? What lateral angles can you pitch for less commercialised coverage? Do you need to send them product? How do you chase the coverage afterwards? Is it worth offering them a competition? What’s more, can you afford the time, effort and energy required to manage the follow-up process successfully? Or do you have more important things to be thinking about, such as the day-to-day running of the business you’ve worked so hard to get off the ground, managing suppliers, staff, customer service etc.? PR consultants like myself bring more to the table than just a well-written press release or meaty contacts book. We’ve honed our skills over many years, learning how to pitch a story correctly depending the publication or particular journalist. Our instincts are trained to spot a good news story. Our press contacts are more likely to take our calls because we’ve worked hard, sometimes for a number of years, to build and nurture that relationship. We make it our business to get under the skin of your brand and to communicate your news as passionately as you would yourself, but in a style and manner that we know will be appealing to the journalist. When you hire a PR, it’s this you buy into, not just the tangible tools. LS Media now offers a genuinely affordable DIY PR Bundle which not only gives you all the expert tools (a professionally crafted press release created after brainstorming the very best news angles, plus a bespoke media list featuring named contacts gleaned from a real-time-updated database of every print and broadcast media title in the UK) but also a detailed step-by-step guide to what to do next. It covers everything from the very best methods of distribution through to a complete rundown of how to pitch the story and generate the very best exposure you can from your campaign. I’m on-hand to offer advice and guidance during the campaign and I also monitor forward features and journalist requests, hand-picking any relevant opportunities for you to progress – not swamping you with every irrelevant request for content! For just £250, everything in the Bundle is tailored to YOUR brand’s needs. This isn’t a one-size-fits-all approach; it’s a package of professional PR tools to help you reach the right media with the right story angle, in the right way.